I think the fact that our body can make Vitamin D itself shows just how important it is to our well-being! Our body only makes two vitamins, Vitamin D and Vitamin K. Vitamin D is called the “sunshine vitamin” because it is produced with the sun’s UV rays. But let’s be honest we don’t always get enough of that! Especially at this time of year when its so cold and miserable. Vitamin D promotes bone growth and helps us absorb calcium. Without Vitamin D bones become soft and misshaped. They are also more prone to breakages. I always make a point of getting my boys to take vitamin products. Children grow so quickly. It’s vitally important their bones have everything they need to develop correctly and stay strong! If you don’t think you have enough Vitamin D naturally its essential to consider supplements. Fultium Daily D3 will help you maintain healthy bones, teeth and muscles. There are other benefits of Vitamin D which are still being researched. Lately I have noticed my asthma has been quite bad. Most likely its because my immune system has been weakened as I haven’t been spending enough time outside. I am excited to have been sent a supply of Fultium Daily D3 as part of their campaign to bring a little sunshine indoors! I am sure they will make a big difference to how I have been feeling. It’s a sad fact of life but many of us aren’t spending enough time outdoors. Children seem to be cooped up playing computer games instead! This generation is now known as the indoor generation, which makes me feel sad. I loved running around outdoors growing up. But these days children seem much more fascinated by what they see on screens instead! 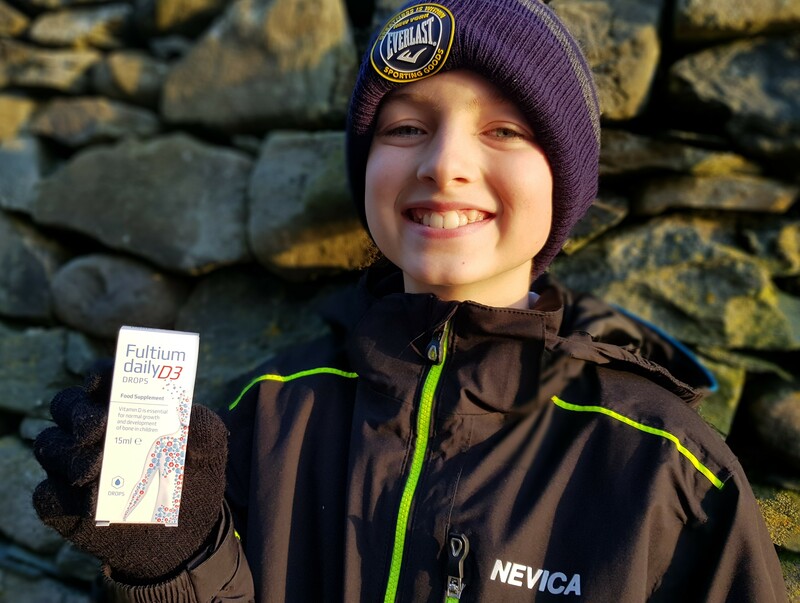 A survey found that children spend half the time outdoors that their parents did, because of this they really don’t get enough exposure to sunlight which is our bodies natural way to top up on Vitamin D.
I think it’s even more important at this time of year to consider a supplement. Now we are all wrapped up against the cold so much of our skin is tucked out of sight. In summer its easier to get topped up with Vitamin D as more of your skin is visible to the sun. The sun would be hard-pressed to find me under all my layers, hat, scarf and gloves! Then when summer is here you might worry about how much time you spend in the sun. I have quite pale skin so don’t like to stay out in direct sunlight for too long. It’s a tricky balance getting enough Vitamin D. On top of that I tend to plaster my children in sun cream and this can impact their production of Vitamin D.
You might think that you get enough Vitamin D through your diet, but it’s much harder than you think. According to Radio’s 2 Dr Sarah Jarvis you would need to eat 10+ tins of tuna, 6 boiled eggs or 10 rump steaks to get enough vitamin D. My boys would have to get through 7 + bowls of cereal fortified in Vitamin D and given I want them to eat in moderation a supplement seems the wisest option! Fultium Daily D3 is available to buy from Boots.